I had just booked my second trip to Iceland and I excitedly told my friends and co-workers that I was going back; their first impression was all the same. Yay! Cool…that is so amazing! followed by a common second reaction: Wait! Iceland? Why Iceland? Isn’t it cold there? I can answer this common question for all of you out there wondering the same. Iceland is awesome! Its natural beauty is incomparable to any other place I have ever been. Iceland is a land of extremes, marked by bubbling natural springs, enormous glaciers, active volcanoes, and dramatic rushing waterfalls. 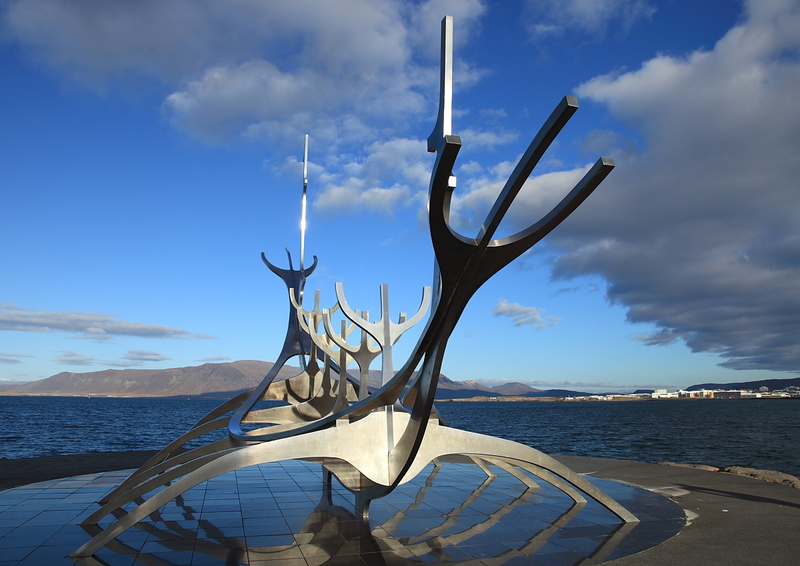 If that is not enough Reykjavik, the capital city is a sophisticated urban destination with trendy restaurants, welcoming pubs and plenty of shopping. There are so many reasons to visit Iceland but I will try to break it down into five major reasons: affordability, adventure tours, the summer solstice and Midnight sun, Icelandic cuisine, and geothermal spas. Currently prices for travel packages to Iceland from the United States are at an all-time low. Icelandair offers a variety of packages that include both airfare and hotels. For example currently Icelandair is offering a “Volcano Tour and Glacier Walk” package that includes RT airfare from a variety of US cities from $845 per person; with add on nights at an extremely low rate of 55.00 per couple. The highlights of this tour are the off-road Super Jeep tour of Eyjafjallajokull Volcano area and also a Glacier ice hike tour on Solheimajokill Glacier. This is just one example of affordable tours, I recently booked a package that included a Northern Lights tour, 3 days in northern Iceland Akureyri, international and domestic airfare, 8 total days with hotel and breakfast for $1150.00 with tax and everything included. Of course these prices are subject to change. The trip was highly organized and the hotels were both four stars-the money we saved on the trip we used for shopping and more expensive tours we wanted to do. A staggering number of tours and activities are offered through tour companies in Iceland. One can go horseback riding in the morning and later the same day-Whale Watching. 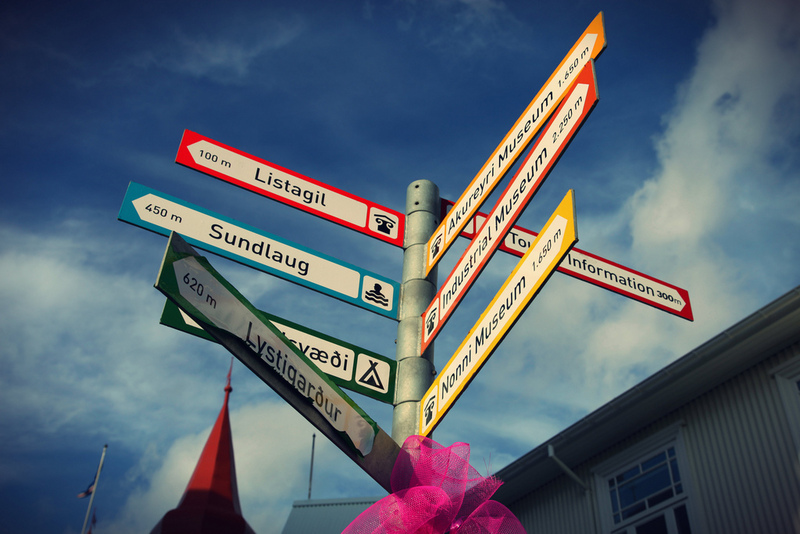 Most tours can easily be arranged through your hotel or through the tourist information center located in Reykjavik. 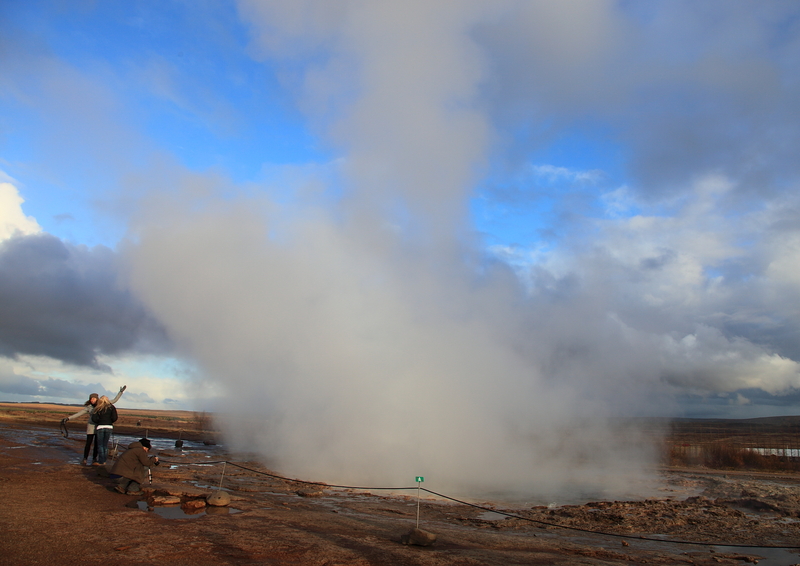 One popular tour iconic to Iceland is the Golden Circle tour. This popular day or afternoon trip takes visitors usually by bus to Iceland’s main natural highlights: Geysirs, Godafoss waterfall and Thingvellir National Park. The difference between the full day and the half day option is the length of time at the locations. I have been on both tours. The main difference I noticed was that on the half-day tour we only briefly stopped at Thingvellir National Park. We heard a short explanation of what the park was and looked out from the overlook at the park. During the full day tour we had ample time to walk around the park and get a close up view of the spring where the tectonic plates are actually visible. During the full day tour we also stopped at the geothermal facility and learned about how Iceland uses geothermal heat and power. One huge benefit to the half day tour was the stop at Kerid eruption crater I was excited because it was different that the other tour I had been on. There are a number of adventure tour options available for those looking for more activity. Tours to volcanic hot spots are very popular. Many people around the world have heard of Eyjafjallajokull volcano when it made international news in 2010 when it spewed a massive cloud of ash into the air shutting down air traffic for weeks. A number of tours are offered to view the aftermath or to check out this sub-volcanic glacier. There is a wide range of tours and activities to choose from that range from high activity tours such as Kite-boarding, dogsledding, ice climbing and snowmobiling to those less strenuous like whale watching and puffin spotting. Reason #3: The Summer Solstice and the Midnight Sun. Iceland is a great place to experience the summer solstice and the phenomenon known as the Midnight Sun. This occurs naturally on June 21st when the day is the longest of the year but in Iceland or other Nordic countries the sun is visible for up to 24 hours. The first time I visited Iceland was in June during the summer solstice and the days seemed endless with bars and pubs filled and people out having fun in the city streets till all hours of the night. We also stayed up all night losing track of time sightseeing and taking photos taking advantage of the long hours of sunlight. When it was time to sleep the guest house had heavy curtains to block out the sunlight making it easier to sleep. Are you a foodie or an adventurous eater? Icelandic cuisine offers a variety of food and drink choices most people have never heard of let alone tried. Hákarl or fermented Greenland sharkmeat is a traditional Icelandic delicacy. Because the Greenland shark is poisonous it needs to buried underground in sand and gravel for a period of 6–12 weeks to allow for the toxins to be expelled from the body before it can be consumed. Once the toxins are removed the shark meat is then cut into strips and dried. You can sample Hákarl at the Kolaportid flea market in Reykjavik city center. Traditionally the shark meat should be washed down with a shot of Brennivín or Black Death. Although Black Death is technically a liquor, I felt like a was drinking a shot of very strong vodka or grain alcohol. Most restaurants offer an Icelandic feast which can be any combination of Icelandic specialties. One of my absolute favorite restaurants in the world is Tapas Barinn located in city center Reykjavik. They offer tapas with an Icelandic twist. Their version of the Icelandic gourmet feast starts with of course a shot of Brennivin, followed by Icelandic Sea Trout, Lobster tails baked in garlic, Pan-fried line catfish, Icelandic lamb, Minke Whale, and for dessert White chocolate “Skýr” mousse. Skyr is a delicious white creamy yogurt specific to Iceland. Many locals do not support eating whale meat and I actually asked that they substitute this item for another one of their 70 dishes. They also serve great sangria. This is just one of a number of great restaurants in Reykjavik. Reason number five is certainly not the least of the reasons for a visit to Iceland. The spas in Iceland are both natural and luxurious! Every visit to Iceland must include a trip to the Blue Lagoon. 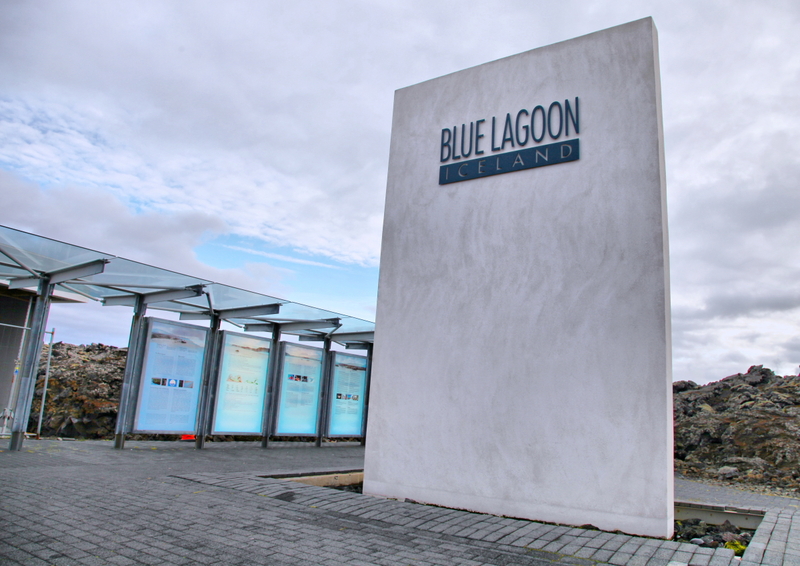 The Blue Lagoon is a luxury geothermal outdoor spa located near Keflavík International Airport. The minerals contained in the spa mainly sulphur and silica are said to have anti-aging and healing properties. Visitors can float around all day regardless of the season in the toasty 98-102 degree water and afterwards indulge in a number of spa services or have lunch at Lava restaurant located on the premises. There is also a Lagoon bar you can swim up to for cocktails and snacks. Laugardalslaug is Reykjavik’s largest city pool. The pool and spa is a short bus ride from Reykjavik center in Laugardalur Valley. It is an enormous spa that has an indoor and outdoor pool, 7 outdoor hot pots, a salt water Jacuzzi, a steam bath, sun lamps, and an 86-meter-long water slide. I loved the outdoor “hot pots”; each one has a slightly different temperature. It was fun to move from pot to pot until you find the perfect temperature and then afterwards cool off in the large heated but cooler-temped pool. These are only my five top reasons to visit Iceland there are actually so many more wonderful experiences in store for anyone traveling there. I highly recommend visiting as either a full vacation destination or as a stop-over en route to another European destination. This entry was posted in Arctic and tagged Þingvellir, Brennivín, glaciers, Golden Circle, ice volcano, iceland, reykjavik, Thingvellir National Park, United States, volcano iceland, what to do in iceland, what to do in reykjavik, why visit iceland. Bookmark the permalink.